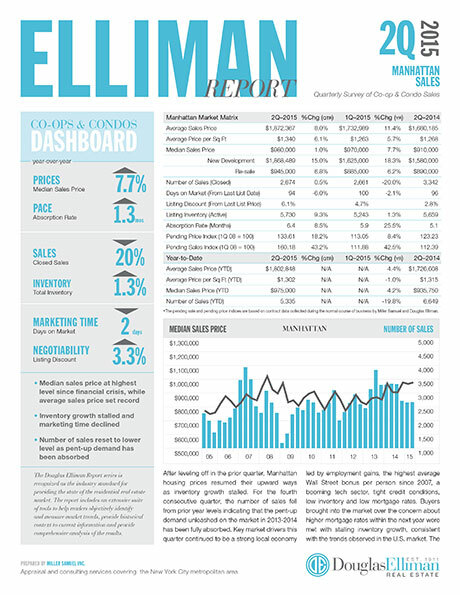 Last Thursday, the 2Q 2015 Manhattan Sales Report we prepared for Douglas Elliman (part of the Elliman Report series I’ve been writing for 21 years) was published. I spoke at length about the report in last Friday’s Housing Note: What Greek Debt Crisis? Manhattan Set A Record Number of Housing Records. You might considering signing up for it. I clear my mind of all the housing clutter accumulated during the week into a thought piece that tries to make sense of what is going on. It’s got plenty of humor and sarcasm, but most importantly, it has plenty of understandable insights, data and charts. Sign up here as thousands of others have. It’s free and best of all, you’ll make me happy. Even better, if you like it, share it with others. There were lots of Manhattan records set in 2Q 2015. Here’s a partial list I created for last Friday’s Housing Note: What Greek Debt Crisis? Manhattan Set A Record Number of Housing Records.